(HealthDay)—As the number of older people in the United States continues to increase, pharmacists and health care professionals need to recognize and address the health care challenges associated with age, including frailty, according to an article published in Drug Topics. Noting that standardized and validated screenings to diagnose frailty are lacking, health care providers must educate themselves about frailty. Using their frequent patient contact and accessibility, community pharmacists can identify, screen, and refer patients at risk of frailty or who are frail. There is currently no consensus on how to define or screen for frailty, which can include physical and psychosocial dimensions. Community pharmacists can identify certain risk factors for frailty, including gender, low socioeconomic status, chronic illnesses, neuroendocrine dysfunctions, and certain medications and medication regimens. If pharmacists suspect a patient is frail or at risk of becoming frail, they should identify medications within the medication records that may increase the risk of frailty, increase fall risk, or escalate cognitive decline. Patient interview may be warranted as patients sometimes use more than one pharmacy. A call to the patient's physician might be necessary in certain cases where the pharmacist has concerns about frailty, declining health, and associated potential health risks. 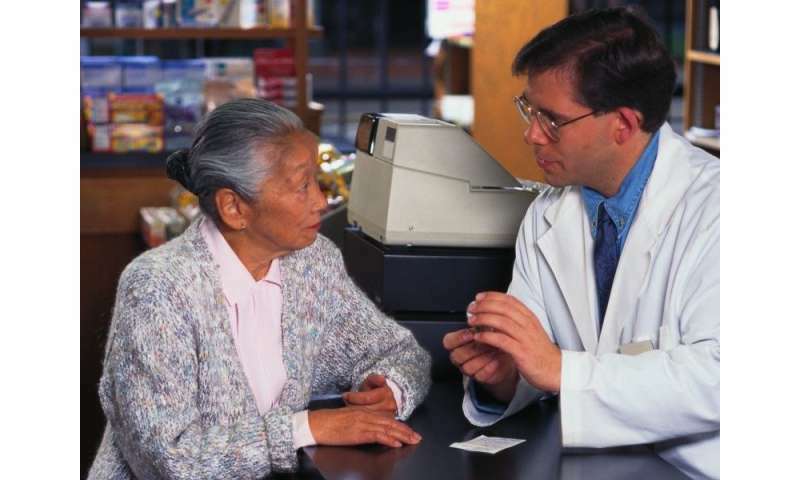 "Pharmacists who screen, identify, and refer patients in preliminary stages of frailty will help decrease health care costs, improve the patient's quality of life, and increase patient survival," according to the report.